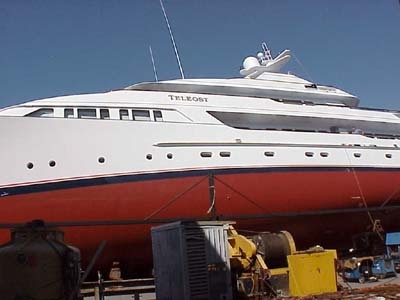 The Feadship Teleost rolled in her blocks during routine maintenance March 3, 2001 while hauled out at Derecktor of Florida, Shipyard. 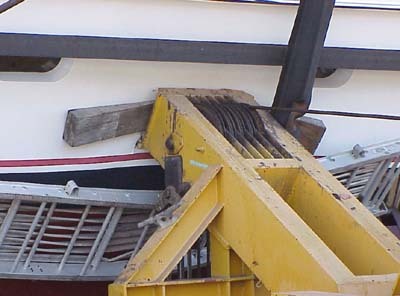 Yard workers were moving blocks to facilitate painting the bottom when the rollover ocurred. 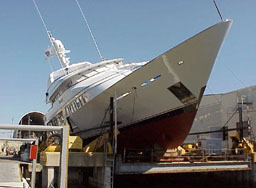 One worker was injured in the incident. 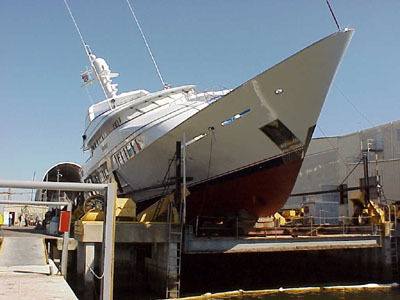 The yacht crew and subcontractors onboard luckily escaped the precarious situation. There were fears the vessel could have rolled over into the water and then sunk. 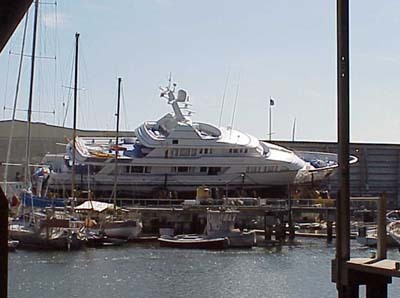 The yacht is severely damaged and may be a total loss.